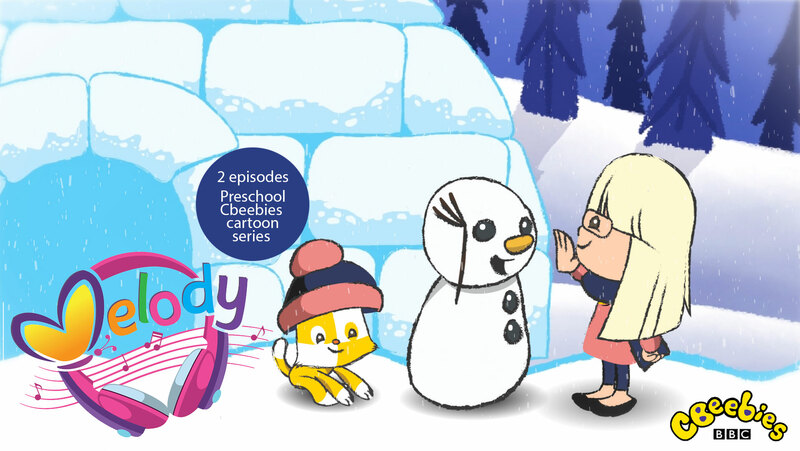 The series is about a partially sighted girl ‘Melody’ and her soft toy cat ‘Fudge’. Each episode Melody listens to a piece of famous music and is taken on a journey of her imagination to a world inspired by the Music. King Bee chose the ‘Elves and the Shoemaker’ episode and the ‘Snowman’ episodes due to their classical stories and warm emotional qualities. The styles were to be different for every episode, inspired by children’s book fairytales.